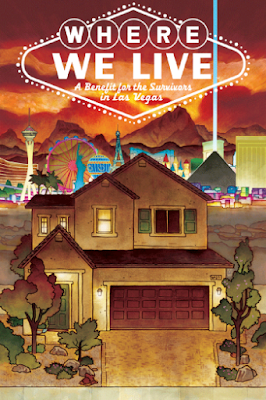 Where We Live, the comic book anthology benefitting the victims of the October 2017 Las Vegas shooting, goes on sale May 30th. There's a huge roster of talent contributing to the book and I'm very grateful that my story "Remember," beautifully illustrated by my friend (and Savior 28 collaborator) Mike Cavallaro, is part of the collection. The Hollywood Reporter is running an in-depth interview with artist J.H. Williams III and his wife Wendy Wright-Williams in which they talk about how they conceived Where We Live and brought it into being. You can read it right here. I hope you'll support this incredibly worthy project. I absolutely will. Thanks for posting.